Suitable candidates will be employed directly with excellent remuneration packages paid weekly. Positions will be filled immediately. 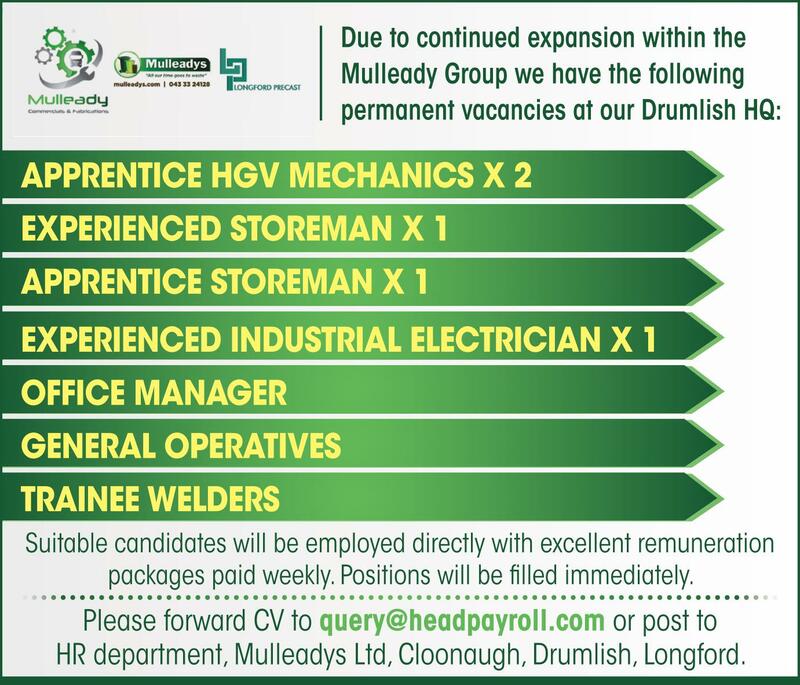 Please forward CV to query@headpayroll.com or post to HR department, Mulleadys Ltd, Cloonaugh, Drumlish, Longford.